It's common knowledge today that good businesses can thrive when they engage their customers through active blogging. If you blog, though, does that ensure customers will care? Maybe, but maybe not. If you're blogging faithfully but it doesn't appear anyone out there is reading, it could be because your blog is (gasp) boring. These days, we're all overrun with information, marketing messages, and product appeals—it's become a digital din and it's difficult to be heard above it all. Blogging for your business still makes sense, but you need to be sure that what you're writing is worth being read. Here are some things to think about to be sure your blog isn't full of "blah." Is your blog already full of blah? Is your blogger bored? Whether you write your posts or someone who works with or for you does the writing, find out how interested they are in the posts they write. If it's a struggle to find something interesting to write about, it's likely a struggle for readers to get through whatever is posted. 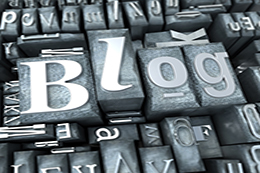 Is your blog genuine? Does it use a "human" method of communicating or does it read like an endless stream of company brochure babble? If you've been hesitant to develop a true personality in your blog, you've likely lost personal credibility with anyone who might have once read it. Is the writing style of your blog real or contrived? Akin to the previous point, a blog that isn't afraid to show a personality naturally "speaks" in an engaging and interesting manner. If your writing style is monotone ("Our new product offering will improve your experience and satisfaction, guaranteed") then you need to give it some life ("Our new widget completely exceeded our expectations; it really blew our minds and we think it might blow your mind, too"). The best way to check your blog's blah level is to read it aloud and see how it sounds, to you and to others. You'll know very quickly if it's "real cool" or "way cold." Now, to get past the blank form syndrome (where you simply can't think of a thing to write about), start with a calendar of topics. Think about what your business is doing now and what it will be doing soon, then plot that activity as blog matter. It will remind you of the things that are interesting to you and your business, and could be as interesting to your customers. Of course, don't be afraid to stray from the plan if new material or revelations arise (run with what's current and what excites you), but use the plan to help spur you along for those times when you might stare blankly at the screen. This is critical: Make sure whoever writes your blog posts is a good writer and a generally interesting conversationalist. How can you tell? Whose email messages do you enjoy reading most, the person whose notes get to the point but do so in an interesting sort of way? Who seems to tell the best stories where you work and has an engaging style that others are drawn to? If you have a person (or persons) like this, they might be your best bloggers. Give them a go at the posts and see what happens. Limit each post to a single topic. Don't babble on about a string of thoughts, ideas or announcements; they're likely each great topics for their own posts. A single topic helps your readers focus on what you're trying to share. Write simpler. Use shorter sentences. Avoid big words. The simpler your writing, the easier it is for readers to ingest and digest what you're saying. Skip the collegiate dissertations and write like you're talking to a friend. Write to your readers, not at them. While many are searching for experts and their expertise, few enjoy long-winded lectures. If you are an expert, your goal should be to engage a reader and help them understand what you already know. Make your information digestible in small chunks, not overwhelming in large servings. Make your posts about your readers. From what you're posting, what's in it for your readers? How will they benefit from what they've just read? What's the "teaser" that makes them eager to read your next post? Ensure there's a takeaway for your readers. Be sure to check your spelling and grammar. It's still the No. 1 turnoff to readers, scanning a post that's rife with errors. You'll lose credibility as well as the attention of readers. With all of this put forth, can these guiding points guarantee your blog will never suffer from the blahs and soar to new heights of favorability? Maybe. The truth is, blogging is all about information sharing and relationship building. While it's important to utilize your blog to grow your customer base and improve your business performance, there's no fool-proof assurance that each post will generate a quantifiable return. Remember, blogging is about engagement, and good business gets better when your customers are engaged with you, your brand and the value thereof. With each blog post, just say it, be sure you mean it and ask yourself if you'd read it. I just opened my eBay store yesterday. I know the basics about using social media, but not really the best way to get the most out of each of the different platforms. This article gave me some great points...Thank You! I am very new at this, and I have never bloged before. I know that it would probably help me alot in getting my business off to a great start. If I ever am going to blog I would take all that you have expressed on the subject and aply it to whom would be reading my blog. Thank you for all the information that you put out there for people like my self trying to start a business for the first time. Again very helpful and great information.